Coleen’s love of riding and racing started as a junior in BMX. Coleen progressed right through the ranks at junior level to become a Junior BMX Champion. With the skills learned on the BMX track, Coleen moved into mountain biking with a strong desire to chase the thrill of Downhill Mountain Bike racing. Now with 15+ years of racing Downhill experience behind her, she has enjoyed great success at both State and National levels. 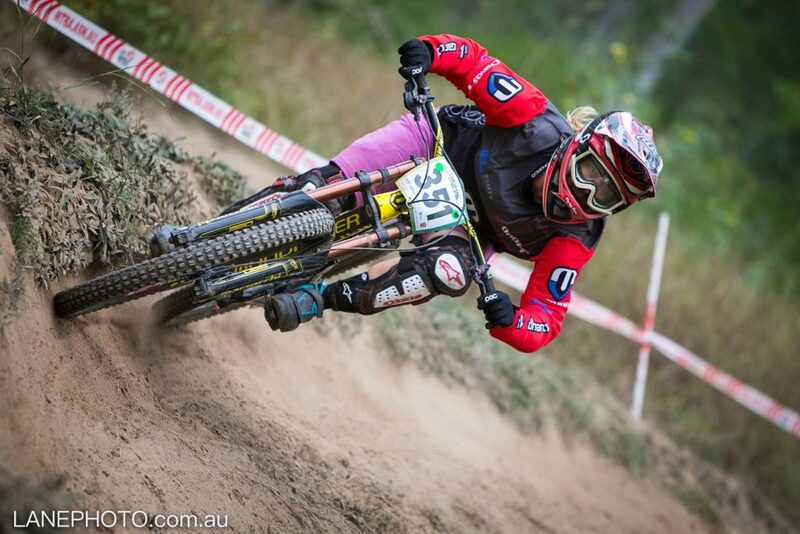 At the time of writing, Coleen even holds current Australian national and state titles in both Downhill and Gravity Enduro. For the past 8 yrs, Coleen has served as the Downhill & Race Coordinator for the Hunter Mountain Bike Club (HMBA). Coleen has been involved in coaching duties for the Women On Wheels skills camps, the Sports Camps Aus “SCA” kids bike skills camps and HMBA run Social & Skills Ride days. Coleen holds current MTB coaching accreditation from the internationally recognised Professional Mountain Bike Instructors Association (PMBIA) and with the MTBA as well. She also has a certificate in first aid and a Working With Children (WWC) clearance.